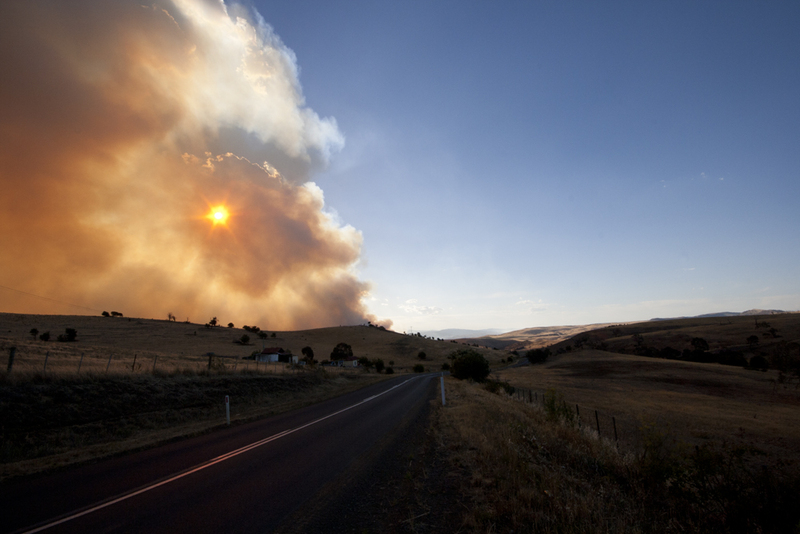 Chances are you heard about the severe bushfires that swept through Tasmania a couple of months ago. Up at Lake Repulse someone left a campfire unattended in the pine forest. 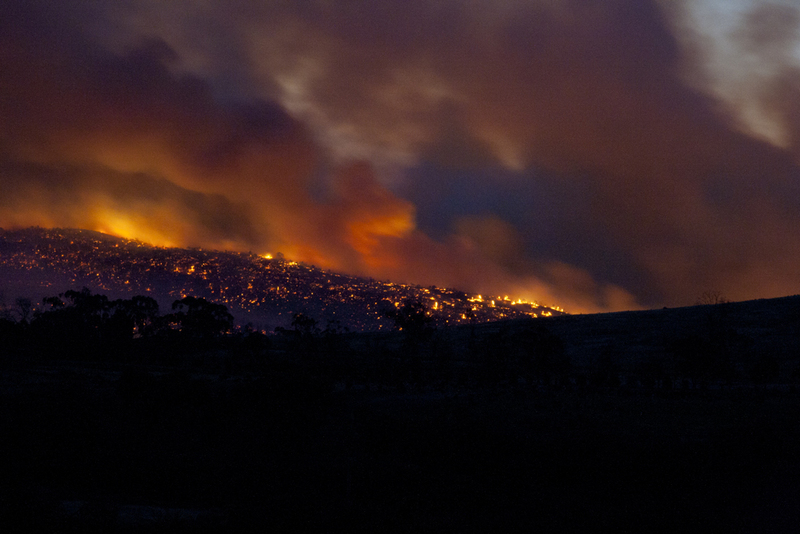 Near Bicheno and out at Giblin River, lightning struck the blazes. In Forcett the latent heat from a tree stump burn two days before was enough to set the flames raging. Over 80 000 ha, burning; anxious days of checking the emergency broadcasts and trying to contact missing family and friends while the sun blazed red through clouds of smoke, the air choked with the smell of fire. The fires were devastating, the damage is heartbreaking. People have lost their homes and livelihoods, whole towns are gone, yet somehow, incredibly, no lives were lost. It seems impossible when you drive through the fire zones, with their scorched paddocks, blackened crops and kilometres of destruction, the eucalypt forests now deep black with a canopy of red dead leaves, slowly falling. People are camped next to the remains of their homes – twisted iron and brick chimneys – the tents the only colour in a sea of black. It’s been grim, times are tough and it’s going to take years for these communities to get back on their feet, but I think they will, because something amazing has been happening: people! The community response to the fires has been absolutely amazing. From the first day Tasmanians have been helping each other, reaching out and doing what they can. In the initial chaos and confused response a few inspired (and inspiring) individuals stepped up and set up a comprehensive social media network, connecting people who needed help with those who could provide it and establishing a critically-needed conduit of information. A flotilla was organised to rescue people stranded on the Tasman Peninsula, critical supplies were obtained and shipped to where they were needed and messages were passed on to concerned loved ones. Thanks to these volunteers, working away at home under their own initiative, the initial emergency response was kicked off long before the slow wheels of government started turning. People donated stuff: food was taken to the emergency shelters, feed was delivered for livestock and pets. Every generator that could be spared was rounded up and taken down the Peninsula. People collected mobile phone chargers and took them to the evacuation centres so the evacuated could be contacted. Folk cleaned out their cupboards and donated clothing and household items. Some truly generous types have even donated their homes as housing for the displaced for however long it takes to re-build. People donated skills: where skills were needed, people volunteered. Several vets made visits out to the fire zones to treat livestock, pets and wildlife for free. A small army of cooks, chefs and producers donated their efforts to feed the hard-working fire-fighters the best food we could provide. Logistics types coordinated response efforts, builders offered up their skills and people on the ground starting doing things. People donated labour: so many people have found time to spare to volunteer. Crews are out every day getting on with the epic job of re-building fences, working with farmers to fence their land. Others are sorting and transporting the mammoth piles of donated goods, or carrying food and water to where they are needed. As the clean-up continues so many every-day people are helping to sift through the soot and ash to help get others back on their feet. People donated energy: those with the energy and connections to do so put on fund-raising concerts and other events, gathering performers, doing the promotions work and attracting a crowd in the name of bushfire relief. Moneys raised went to the Red Cross appeal, to the fire fighters or directly to the communities most impacted by the fires. Numerous musicians and performers put on shows for free, from international stars to local heroes, bringing smiles to faces and raising cash when it was needed. It was amazing to see, the way people came together and acted as a true community, people caring & sharing, realising they have more than they need and lending a hand. Disaster seems to have a way of doing this, bringing out the best in people and pushing us together. We saw it in the 2010 Brisbane floods and the way the Mud Army formed and cleaned up the houses of complete strangers. Outside of Australia, there was the huge volunteer effort in US after Superstorm Sandy, when people were helping their neighbours to get back on their feet long before official services could be mobilised. When it’s front & centre in their awareness, people are amazing; humanity is brilliant and beautiful. So why aren’t we like this the rest of the time? What happens through our every-day living that results in us living disconnected, inwardly-focussed lives? Why, when people can be so amazing, do we have problems like road rage and harassment? Why do we see so much social isolation and dislocation? What makes us hoard for resources and consume more than we need? Deep down, people seem to know what we need to live together well and create community. That’s not surprising for a species that relied on social organisation to survive and flourish. What is surprising is how we so easily lose our way. It makes me wonder if it’s something to do with the size of our cities and social structure, or the marketing messages that are constantly flung at us, urging us to collect more and more stuff as if we’ve somehow earnt it. We live our lives behind closed doors and high fences, distrusting our neighbours and defending our castles and consider our independence a triumph until disaster strikes. It is then that we remember the truth: we’re all connected and we need each other in order to survive and keep the great wheels of civilisation turning. Watching the recent fire response gave me hope for humanity, reminded me just how wonderful people can be, but it also made me wonder why we’re not like that the rest of the time. If there’s a lesson to be learnt from the horrors of the fires it is this: community matters. Be a part of it. The community spirit is the norm here in our small rural community and certainly my experience is that people do help neighbours and they reciprocate, broadly without question. The bigger the ‘community’ the more the lack of spirit appears to be amplified. I suspect it’s something to do with necessary reliance on each other in small communities – certainly that’s my experience. Thanks for highlighting this issue, interesting post.